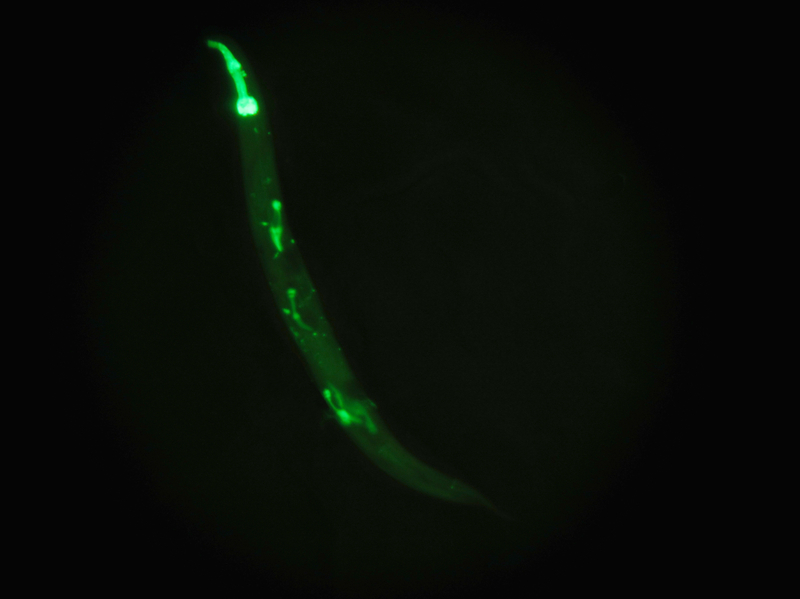 C.elegans: worm, 1 mm length, model organism. With the techniques available it´s possible to create glowing worms, which again produce glowing offspring. Normally a gravid worm lays eggs, but if it dies the remaining eggs can develop into larvae inside the adult´s body cavity(-> picture. The dominantly glowing structures are the pharynges of the individual worms –larvae: small; adult: tall) The picture captures the fascination of manipulating organisms and lastly the beauty of the result itself.